Skip Tanner is more than a writer, avid outdoorsman, hiker and international survival expert. He is also the creator of ExpertPrepper.com. He brings you the news you need to know as well as breakthrough information from some of the best authors and experts in their field. Together, they share their deepest secrets of survival with you. Richard Bogath is an NRA certified firearms instructor, certified hunter instructor, youth league pistol coach, professional hunting guide, published author, writer for several online publications about firearms, blogger, lecturer and proud dad. When not performing any of these fun activities, he is a successful e-commerce business consultant. 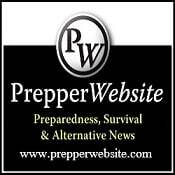 Expert Prepper has many guest authors who will stop in from time to time to share their stories, share stories, give advice and even talk about exclusive offers. We are hiring survival, prepper and DIY writers, video bloggers and a content editor.